Is Hiro kinda hot for a cartoon character? la scelta dei fan: YASSSS! Who is Hiro like the most? So far, do te think that Hiro will be your favourite Big Hero 6 team member? Are te going to Amore Hiro? Who's you're favourite character from BH6? a comment was made to the poll: Is Hiro kinda hot for a cartoon character? a poll è stato aggiunto: Who is Hiro like the most? 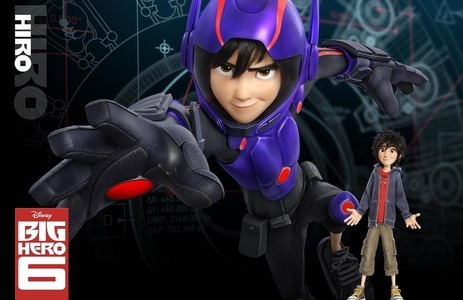 a comment was made to the poll: So far, do te think that Hiro will be your favourite Big Hero 6 team member? a poll è stato aggiunto: Who's you're favourite character from BH6? Who is the voice of Hiro Hamada?